Jennifer Aniston is co-owner of Living Proof, a hair care company whose products are based on discoveries at MIT's Langer Lab. Photo courtesy of Living Proof. This year Living Proof, a hair care company with MIT roots, celebrates 10 years in business. 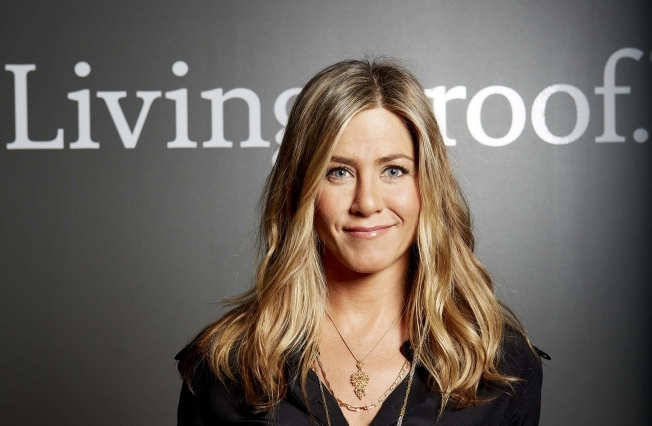 Now retailing in 33 countries plus Hong Kong, Living Proof is as healthy as the glossy mane of its celebrity spokesperson and co-owner Jennifer Aniston. Institute Professor Robert Langer ScD ’74 fledged the startup from his eponymous laboratory, and the company continues to base its products on bioengineering. The business began with a proprietary molecule. “We started in a biotech mode with a few researchers,” says Eric Spengler, Living Proof’s senior vice president of research and development. The scientists adopted Langer’s philosophy of understanding the origin of a problem and came up with a solution to the bane of beautiful hair everywhere: frizz. Living Proof formulated hair products that capitalize on the properties of octaflouropentyl methacrylate, or OFPMA, which is both hydrophobic and lipophobic. Next, delving into MIT’s polymer and lipid library, the researchers discovered poly beta-amino ester, or PBAE. “We have a lot of intellectual property around that,” Spengler says. PBAE deposits a flexible pattern of thickening points that create space between each hair strand, making fine hair feel fuller. The flexible matrix is also durable, so styles last longer between shampoos. Living Proof scientists also work on getting the most out of the molecules. “We study rheology — the science of flow. We’re able to get very effective product coverage without it feeling heavy and greasy,” Spengler says. This year they debuted several new products. No Frizz Humidity Shield blocks humidity like sunscreens block out UV light, Spengler says. Another line, Perfect hair Day, is nicknamed PhD — a playful reference to the company’s science-based strategy. Devotees purchase the products at beauty retailers Sephora and Ulta, at select salons, and at livingproof.com. Ten years on, the Binney St. company maintains its ties with MIT. The Langer Lab’s Dan Anderson serves as its technical advisor, and chief science advisor Langer himself sits on the company's board of directors. Living Proof has been tapped for 80 honors including recognition from the Edison Award for Innovation in Consumer Products — once for each molecule — in 2010 and 2011. In 2013, the company was a finalist in the Falling Walls competition, run by a Berlin-based foundation that heralds innovations that break down technological barriers in daily life. The struggle against frizz is real, but on the scientific scale of sexiness, big hair rates somewhere below Higgs boson. Indeed, Langer Lab researchers spend most of their time tackling health care challenges including cancer, diabetes, and paralysis. In July they published a paper in Nature Materials about super-long-acting pills. Read more stories like this on Slice of MIT.